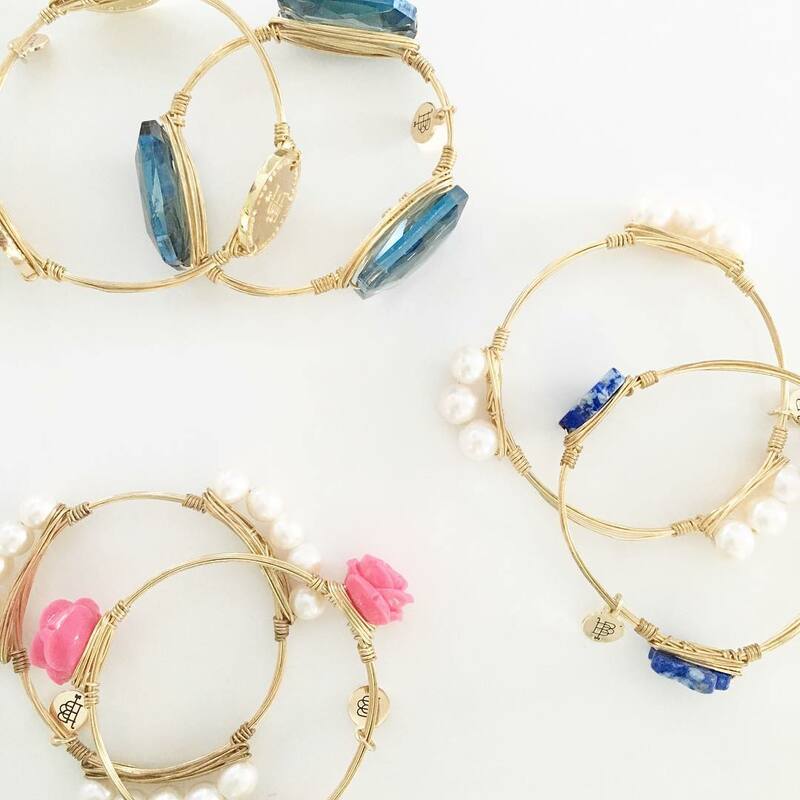 Bourbon and Boweties Bangles (on sale! ): We rarely find Bourbon and Boweties bracelets on sale, but Nordstrom’s Anniversary Sale started yesterday for cardholders (it opens for everyone else on the 22nd! ), and a few of the bangles are featured in the sale! Hurry and grab some before they’re gone! ‘5 Ways to Make Sure You Have a Good Day’ by Amber Fillerup’s: We believe it’s SO important to set yourself up to have a good day, and we love this video Amber posted a few months back. She shares her favorite tips for preparing for the day before it gets here. (P.S. Keep your eyes peeled for our Simplified Planner!). Kate Spade Mini Glitter Earrings: We love the original, larger version of these earrings, and these mini ones didn’t disappoint. They’re perfect for running errands or casual days around the office! Our New Pineapple Pen Cup: Did you see Emily’s big announcement on Instagram? Mark your planners! Pineapple pen cups are coming to the shop on September 7th. Bamboo Pineapple Cutting Board: Under $20 and super practical! We’ve been eyeing this pineapple cutting board for weeks now. ‘Surviving Miscarriage’ on Julia Dzafic’s Blog (Lemon Stripes): We’ve heard countless stories of women suffering from the pain of a miscarriage, often times feeling like they need to hide it. We love how real and raw Julia is about such a difficult time in her life and hope that sharing her story might bring comfort to some struggling mamas out there. She even shares four tips for how to encourage women who have gone through miscarriages. Such an awesome, inspiring read. Zip Detail Faux Leather Tote: The perfect tote for this fall! Big enough to take to the office, carry around baby toys, or take on a road trip. Plus, it’s under $35 dollars right now! Volupsa Candle Set: This set makes an amazing gift for girlfriends, sisters, teachers, and whoever else you might be shopping for. You can’t go wrong with this set! Coastal Tassel Necklace: We adore this new necklace from Lilly Pulitzer. Theres also a blue option available here. It goes with everything and has just the right amount of sparkle! Our July Playlist: Follow along with us on Spotify to hear what we’re listening to in the office all month long!